I want to take a few more in progress shots now and then so this is the first of my on the bench posts. 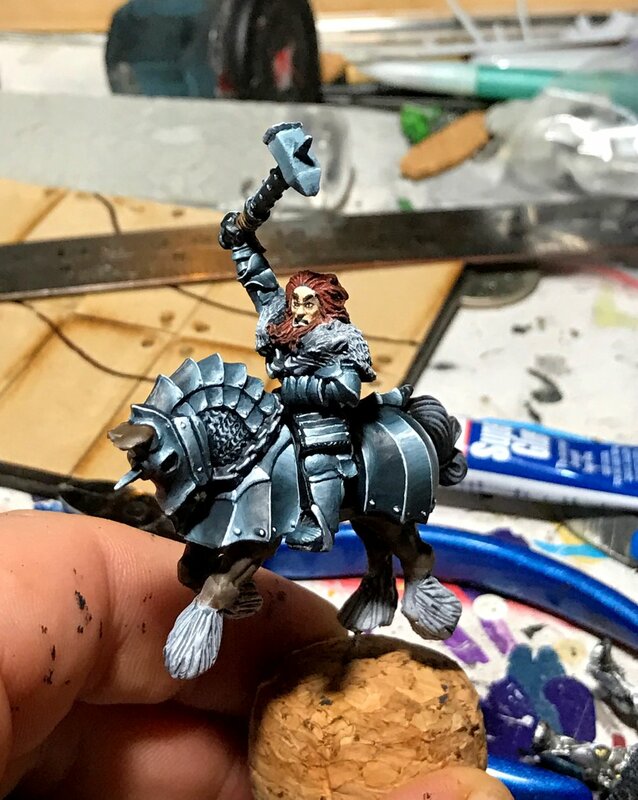 Getting close to finishing the first of my wolf knights. It's a little sketchy and I'm not overly happy with the blending but I'm painting an army here and indoubt I'll go back and fix it up. I do have to weather and scratch it up though, that will blend it in well. I've done all the horses though and I'll get through the rest of the knights over the next week or so. My bits finally rocked up, lion knights! I don't like the warhammer chicken knights, but I do love these wolves. Not sure about the rider, I'll be work on that. And that's what's in the bench.